The town will spend $27,000 to use an outside consultant to review the town's emergency medical services and check response times and service quality by the town's all-volunteer youth ambulance corp. The study will be used to make a state-required update of the town's EMS response plan last updated a decade ago, First Selectman Jayme Stevenson told members of the Board of Selectmen at a meeting last week where they approved transferring funds to pay for the study. "This study has a dual purpose -- to set us up with an appropriate local plan and assure our taxpayers we have a best practice EMS provider, which I feel confident we do." Stevenson said. Work on the study could begin in the next couple of months with the approval of the money. Darien's emergency response times are within acceptable time frames, according to a report made by the town's now defunct EMS Review Committee in 2013. In the report, the national average response time was between eight and 12 minutes, while in 1,525 calls to Darien EMS-Post 53 in 2013 the average response time was six minutes and one second, behind Greenwich and Stamford. The town submitted an updated version of its existing plan in January to meet a state requirement to update the plan every five years, but the study will provide more detail about any changes the town might be looking to make to improve service, Stevenson said. 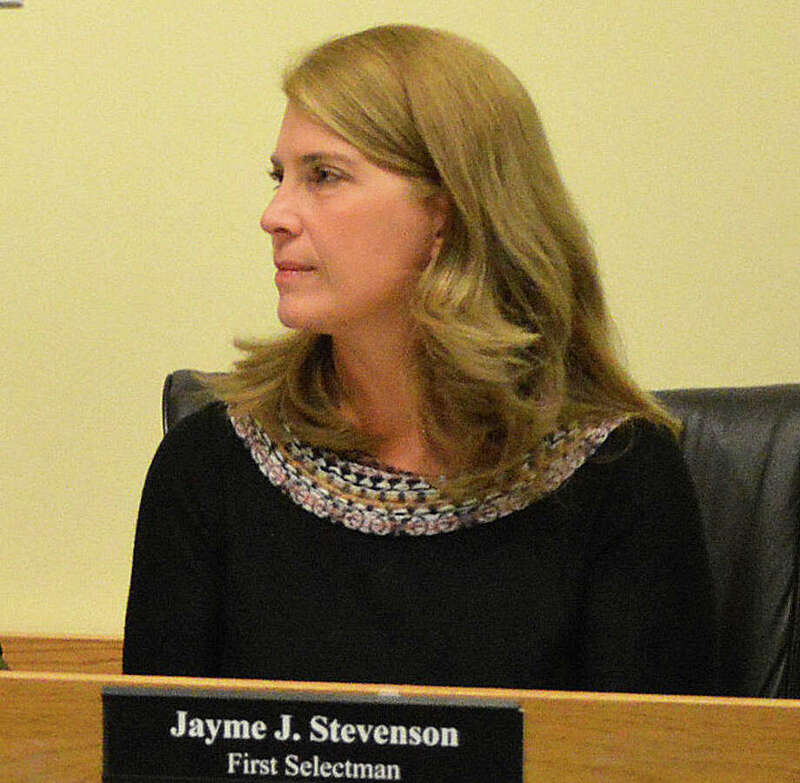 Stevenson added that while not a primary goal of the study, it would consider any advantages of making emergency medical services a function of town government. "We've already updated the current plan in order to meet their deadline, which was in early January, but this will allow us to provide a far more detailed plan that we will then send to the state as an amendment to the plan," Stevenson said. In Darien, emergency medical response is furnished by the all-youth volunteer EMS-Post 53, manned by Darien High School students trained as EMTs and supplemented by adult volunteers. The post staffs three state-of-the-art ambulances 24 hours a day, 365 days a year. However, the service doesn't have its own paramedic, and relies on paramedics from Stamford and occasionally Norwalk to respond when necessary. Two advanced emergency medical technicians are on duty at all times to respond to calls, according to Post 53 Executive Director Ron Hammer. The volunteer group would be willing to integrate any recommendations the consultant comes up with, but the lack of town-based paramedics does not detract from the level of patient care or cause negative outcomes, Hammer said. "I think there is expectation in an affluent town without really diving into what we do that we should automatically have paramedics," Hammer said. "From a patient care point of view, not having Darien-based medics has not been detrimental to patient care to date. I think the town is weighing the cost of it, versus the actual meat of it and will make their decision." At the meeting, Walter Casey, a town resident and frequent critic of Post 53, who has argued the town needs locally based paramedics, asked Stevenson if the general public would be able to give their feedback and ideas directly to the consultant. Stevenson said she didn't expect the consultant to work with direct public input, but would forward any questions Casey had about the service to them. "So you've sent them a report saying the town is confident it is OK the way it is now?" Casey said. "That was expressed in the plan?" "Yes, we are following the same plan we have been following since 2002," Stevenson said. The current level of EMS service is of a very high standard and the potential addition of paramedics to the volunteer ambulance corp wouldn't necessarily improve response times or medical outcomes, said Hammer, who has been executive director of Post 53 since 2010. "I think it is right for them to do an independent study because there is a feeling there are not a lot of benchmarks or standards out there and it is important to have an independent review to support your evaluation of your performance," Hammer said of the study. "I'm looking forward to seeing how we come out and I'm confident we provide an exceptional EMS service to the town."